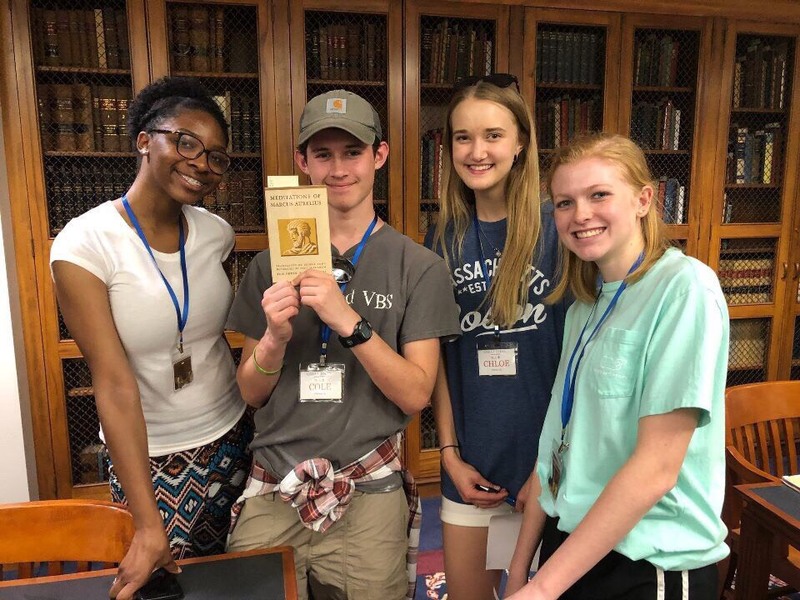 A select group of 14 high school students experienced life as Samford University Fellows honors students as they took part in that program’s annual Great Ideas Summer Institute (GISI) June 24-29. GISI, created in 2011, is a weeklong opportunity for intellectually ambitious high school students to enjoy the energy of a college classroom, engage with ideas that form the essence of the Western intellectual tradition and develop friendships with exceptional high school students from around the country. It typically focuses on the ancient Greek and Roman ideas that inspired the creation of the U.S. and sustained it through the trials of revolution, civil war and the struggles for civil rights. Discussion-oriented classes are complemented by films, excursions and other activities related to the unique history and culture of Birmingham, Alabama. “It puts a new perspective on how we’ve been living,” said GISI student Perla Soto-Ceballos of Birmingham. GISI literally opened doors for participants with visits to the Birmingham Civil Rights Institute and Birmingham Museum of Art. Students cited those experiences among several program highlights. They also praised knowledgeable University Fellows preceptors and faculty–Sansom, Shannon Flynt and Bryan Johnson– whose expertise and passion inspired them to think in new ways. “We got to see each of them in their element,” said student Jude Johnson of Austin, Texas.